When you are running late, few things can cause more grievance than the sight of a big yellow bus. Especially if you get stuck taking the exact same route that the school bus is going. You have places to go and people to see and the last thing you want is to stare at flashing red lights for minutes on end. Stopping behind a school bus is not optional. As soon as you see the red lights start to flash you must stop. Even if you are going the opposite direction that the bus is going, you still must stop. And you must remain still until the flashing red lights cease and the stop sign on the side of the bus disappears. Why do I need to stop for a school bus? 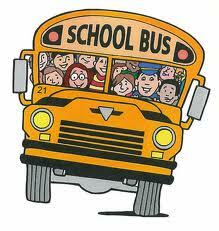 School buses are full of students; kids who can be as young as five years old. These children may not always realize they need to stop and look for cars before crossing the road. Even if they know they are supposed to, they may be so excited to run home and show their parents something cool that they simply forget to check for cars. That’s why it’s your job to stop. Even when the red lights disappear, you still need to proceed with caution to make sure that there are no little ones close by. What happens if I don’t stop? First, let’s just assume you don’t accidentally hit a kid, because that is the worst thing that could happen. Remember, the reason you are stopped is so the kids on the bus can get to their homes safely. For whatever reason you decided it wasn’t worth your time to wait, and you get caught, at the very least you will get a ticket and a fine. The fines vary from state to state, but in Texas, you may find yourself with a hefty $1,000 fine. This is the fine if you are not in a designated school zone. If you are, you can expect this fine to be doubled. That’s a pretty steep price to pay for a few minutes of your life. Some judges even go to the extreme. In Cleveland, there was a woman who did not stop and used the sidewalk to bypass the school bus. Her punishment was to hold up a sign proclaiming she was an idiot to anyone that passed by. So consider yourself lucky if all you get is a fine. So the next time you find yourself behind a school bus, it is important that you drive defensively and always keep an eye out for those flashing red lights. Take the time stopped to adjust your radio or air conditioner. Before you know it you will be on your way to your destination with very little time lost. And please don’t speed to make up the lost time, because then you might find yourself in even more trouble.